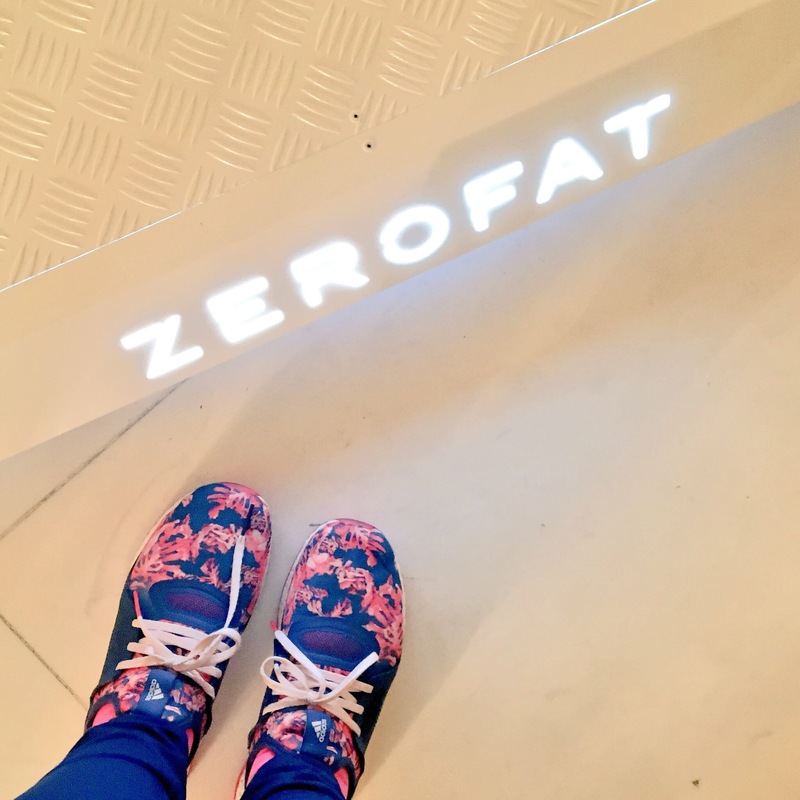 Last week, I was one of the first people in the country to try a brand new piece of exercise equipment called the ZeroFat iR1. I came away really impressed and excited to share my experience with you all, so here goes! It looks like an exercise bike from Star Trek – a seriously impressive piece of kit! The reclining bike itself is surrounded by infrared light lamps, which slide back and forth to allow you entry. Once inside, you settle down on the reclined seat, and allow the infrared light to shine on you as you peddle for your session! What are the benefits of ZeroFat iR1, and how does it work? Using the infrared light therapy, the machine can reportedly promote skin health, leading to anti-aging results, boosting collagen and reducing fine lines and cellulite. Obviously, as this is also a low-impact cardio machine, you’re going to lose weight at the same time -provided, of course, you eat at a caloric deficit as well as exercise (remember – you can’t outrun your fork!). Mind you, the claim is that the bike can increase your calorie burn by 44%, and a 45-minute session can burn 800 calories, which would put pretty much anyone at a decent deficit for the day! It also has a low-frequency magnetic therapy seat unit which can help reduce swelling and improve circulation. While you pedal, you can watch TV or browse the internet with the integrated touch-screen Android tablet, which is situated in front of your head. What is the ZeroFat iR1 like to use? First of all, I have to say again, the appearance of the bike is hugely impressive, and very futuristic. The unit with the lights attached moves backwards so you can hop in and recline on the seat, raising your legs slightly to reach the pedals. The unit will then slide back over your head, until the Android tablet and controls are just over your face. You end up being slightly enclosed by the machine, which might make some people feel claustrophobic, but I didn’t have an issue with it at all. Once you’re seated, you can adjust the seat and the pedals until everything feels comfortable (and protip, if you adjust the seat portion to 99%, you can engage your abs as well to give an added boost to your workout!). I’ve never used a reclining exercise bike before, but it was much more relaxing than my usual upright bike – and with the bonus of helping your posture too. Often I’ll find myself hunched over the bike with a rounded back, which isn’t really great – but with the reclining seat, you don’t have to worry about all of that. The heatlamps can be turned up or down depending on your level of comfort, but I decided to have them up as high as possible for the purposes of the review. I usually don’t enjoy sunbathing or hot weather, and I’ve never sat under a heat lamp, but I found the infrared light therapy very pleasant. The heat added to the intensity of the workout, and by the end, I was sweating all over. 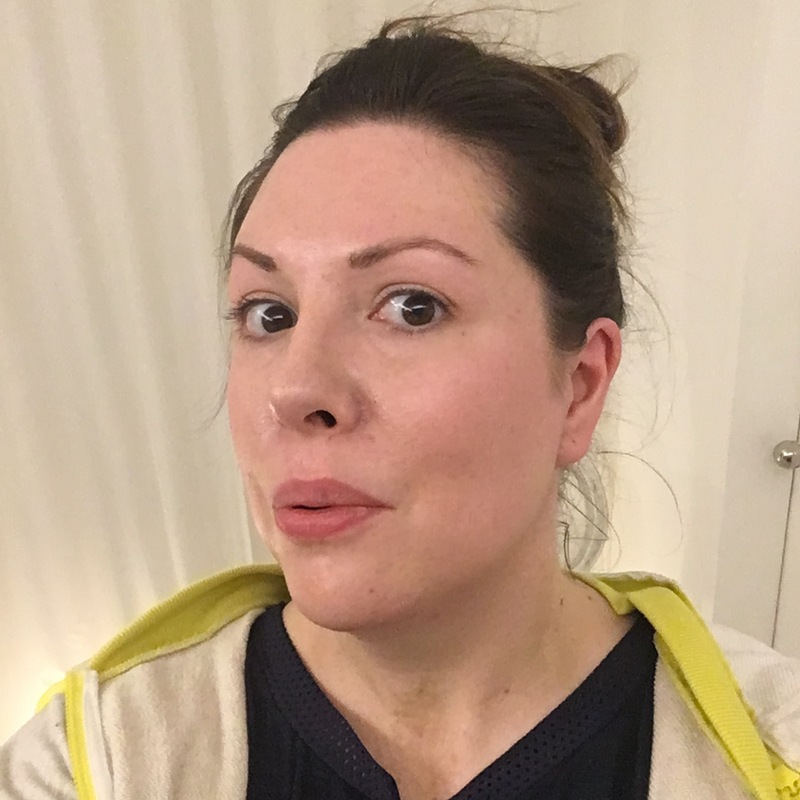 As far as perceived effort goes, it’s a great ego-boost, and my skin really did feel glowing when it was over. Thanks to the touch screen tablet, which came pre-loaded with YouTube, the session flew by, and at the end, even though I’d put in my normal amount of effort and burned over 700 calories (according to the machine’s readout, anyway), I didn’t feel overly taxed or sore. I obviously cannot vouch for any of the health and wellness claims made by ZeroFat, because measuring caloric output is a lot more complicated than watching a number on your exercise machine go up. All I can tell you is my own, honest opinion of my experience. I really, really enjoyed using the machine, and I definitely felt exhilarated once I’d finished – a combination of natural endorphins released during exercise, and the effects of the infrared light (which can not only boost mood, but also increase your metabolism!). What I can tell you as well is that on Friday I recorded a calorie intake of nearly 1500, which is a lot more than I usually eat (and was probably a conservative estimate, as I had beef bibimbap for lunch and a teriyaki salmon bento box for dinner). The following day I recorded a weight loss of 0.8lb, which is pretty incredible. I can’t claim it was all down to the ZeroFat iR1, but as some anecdotal evidence, I think it’s pretty nifty! I also have to quickly mention DOMS – delayed onset muscle soreness. I’ve been struggling with it pretty much daily since I started working out, with aching legs, arms, and even bum causing me a fair amount of discomfort. It’s a sad side effect of starting a new exercise regime, but at least it shows that it’s working! I honestly didn’t pay much attention to the ZeroFat iR1’s magnetic therapy seat at first, but as if by magic, all my soreness and achy muscles have gone away since I used it! Would I use the ZeroFat iR1 again? In a heartbeat. I love using the exercise bike anyway, as it’s a low-impact form of cardio that burns calories efficiently while you read, watch TV, or do whatever. But the ZeroFat iR1’s reclining seat was even more relaxing than a normal bike, and I was really impressed by how effective the magnetic therapy seat was. Also, the infrared light therapy really did boost my mood and make my workout feel more effective. I haven’t used the bike enough to be able to stand by any of the long term benefits that the bike is claimed to promote, but the one session I had made me want to get right back in the saddle again! ZeroFat is new to the UK market and will be available nationwide. Check out the website www.zerofat.co.uk for more information. Promotional images via www.zerofat.co.uk. My session on the machine was complimentary for the purposes of review, and my opinions and text are my own.